Product prices and availability are accurate as of 2019-04-21 03:58:44 UTC and are subject to change. Any price and availability information displayed on http://www.amazon.com/ at the time of purchase will apply to the purchase of this product. 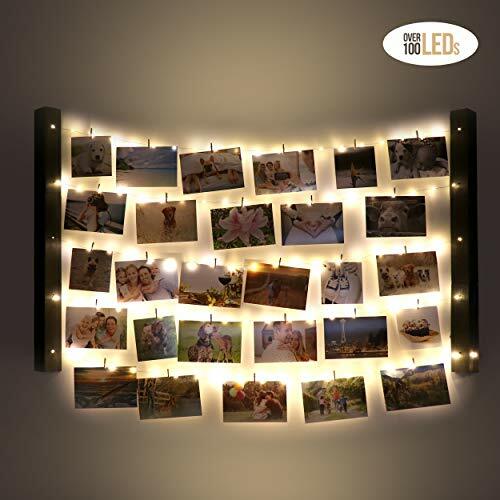 B&R Industries Wall Hanging Photo Display with LED Lights Are scrapbooks too bulky and never on display? Looking for a way to keep a scrapbook style arrangement on display? Do you want to bring the spotlight to your display even in dim lit areas? Need something unique? Well, stop looking because you have found the answer to all your problems! One of a Kind Picture Display The hanging photo display allows you do display up to 30 photos/mementos across and LED light sting. This DIY product comes with easy to follow instructions. Easily move about or change photos/mementos with wood clothespins, great for keeping things fresh! 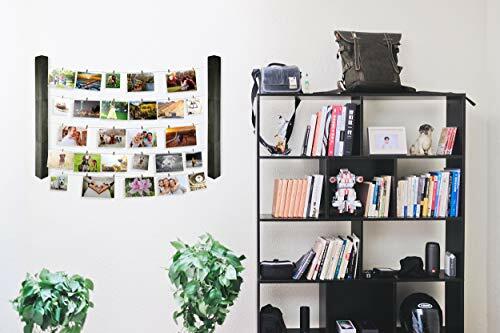 DIY MULTIPLE PHOTO DISPLAY - B&R's photo hanger lets you choose how to organize your collage. Each unit is 23.5" by 40" and comes with 6 wood frames, 1 LED battery powered light string, and 30 wood clips. 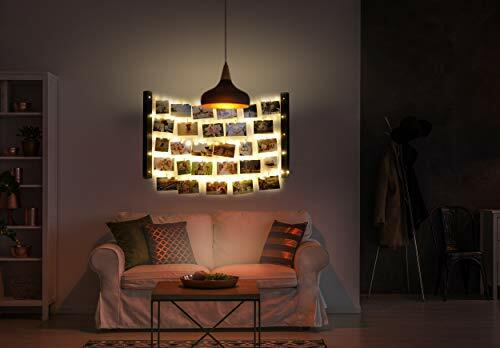 ILLUMINATE AND BRIGHTEN ANY ROOM - Showcase your favorite memories in photos and mementos is any room. 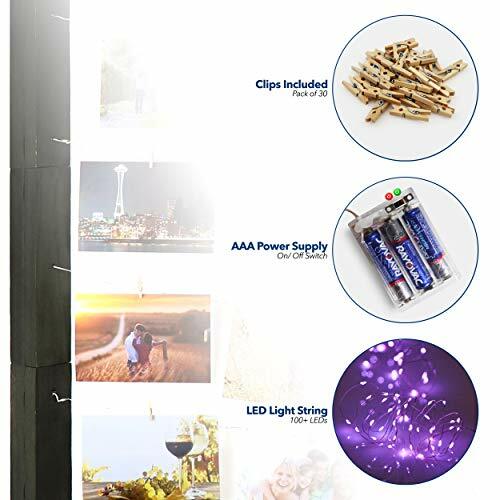 Don't let your memories fade when the lights go off, the battery powered LED string will keep your favorite memories in the spotlight. 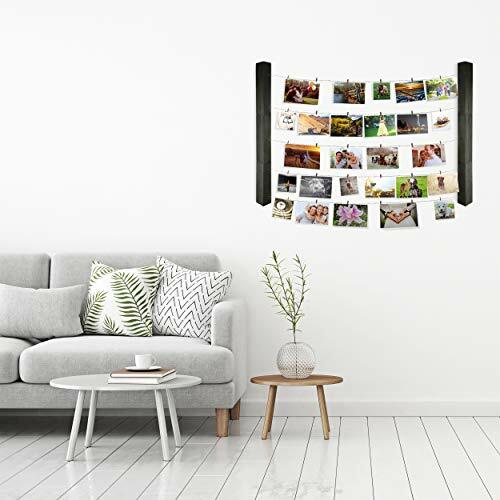 PERFECT DECORATION - B&R's photo hanger is perfect for hanging photo's, holiday cards, children's artwork, and many more lightweight mementos that you wish to showcase. Use this product for birthdays, holiday parties, and even Valentine's Day. ENDLESS POSSIBILITES - Change the location of your photos with just as clothespin. You can even change the orientation of the frame to create a waterfall of lights and mementos. EASY TO ASSEMBLE - B&R's photo hanger comes with instructions to help with the required assembly on your DIY project. 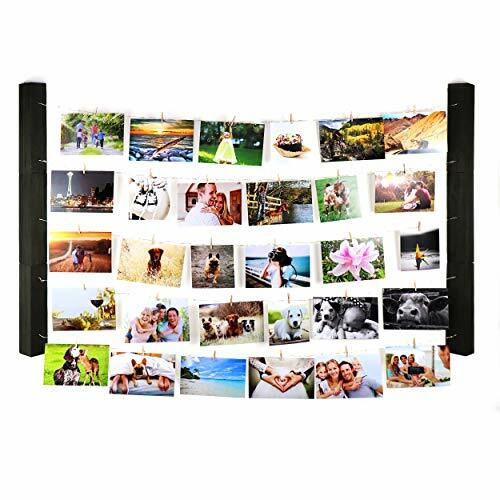 Once assembled, easily move picture and mementos around how ever you would like!